V – What are the meaning of notes next to HDDs? 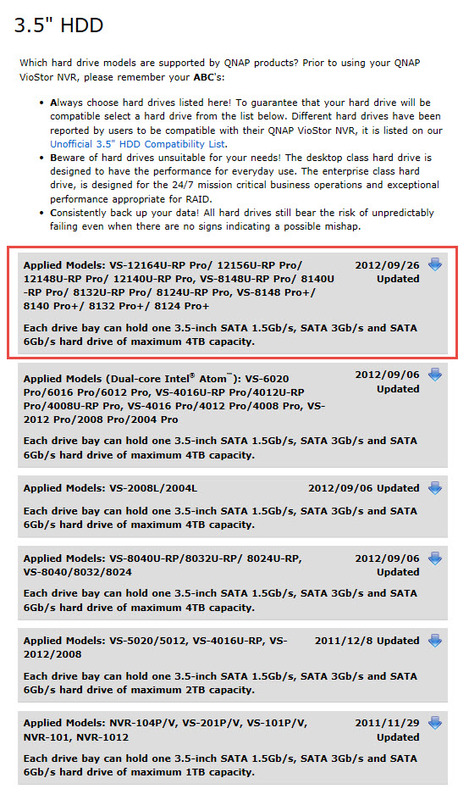 Warning : You must choose right HDDs for staible Qnap performance, this is really important part. -Stay away from “Not recomended” Models, because they cause really strange configration problem, easly drop from RAID, easyl give “bad sector” error in a short time. 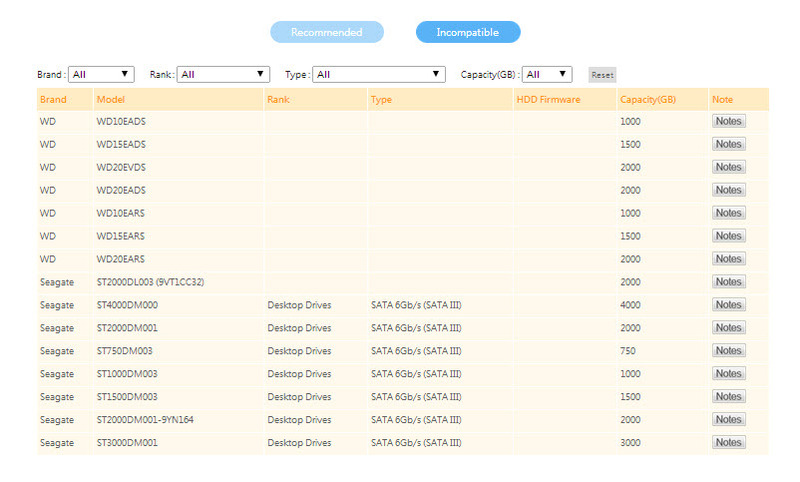 Qnap should change this title from “Not Recomended” to “Stay Away From This HDDs”. The WD Desktop drives (Green/Blue/Black) are not recommended for RAID volume usage, as the following issues has been realized. According to the reply from WD manufacturer. Q:Are WD Desktop drives (Green/Blue/Black) good for RAID systems? IV – What is the meaning of notes next to HDDs? When using this hard disk drive model with TS-119 Turbo NAS, the hard disk drive temperature will be slightly higher. 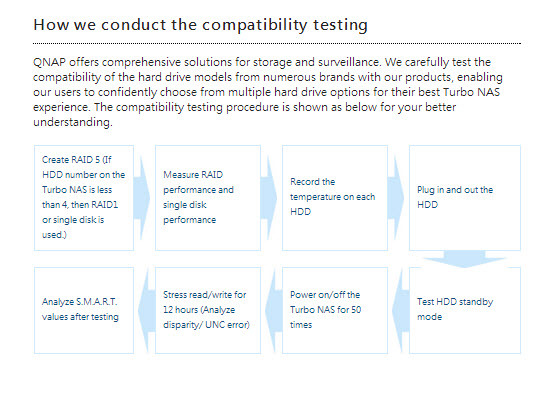 As suggested by certain hard disk drive providers, the hard disk drives of the same brand and series are collectively recognized as compatible with QNAP products if the largest-capacity drive has passed the compatibility test. If you are using two 1.5TB or 2TB hard disk drives in TS-209, due to an upper limit of the logical volume capacity, you can only configure the hard disk drives as single disk volumes or RAID 1 disk volume. These hard disk drives have passed QNAP lab’s initial verification of compatibility. However, because many users have reported unstable experience with these hard disk drives, we do not recommend using these had disk drives with QNAP products. WD10EADS-00P8B0 and WD15EADS-00P8B0 are not suggested because of slow performance and stability issues. To use these models with NMP-1000, please click here to download the hard disk drive compatibility update tool. To use these models with QNAP NAS, please upgrade the NAS firmware to v3.2.5 or later (TS-109/209/409: v3.2.0), backup the NAS data to another location, and then follow this guide to re-initialize the hard disk drives to adopt the WD Advanced Format Technology. Currently these hard disk drives are not compatible with QNAP NVR. Since the design of the screw position of this hard disk drive model is slightly different from others, the hard disk drives of 2-bay and 4-bay Turbo NAS may not be detected properly. Please plug the hard disk drive tray into the drive bay until it clicks into place to avoid hard disk drive detection error. The hard disk drives have passed QNAP lab’s initial verification of compatibility. However, the manufacturer has suggested not to use the desktop hard disk drives in business-critical RAID environments because the drives may not work correctly. Please check this link for more information. To use this hard disk model with QNAP products, please back up the disk data (if any) and follow the guide below to apply the patch for improved data integrity. QNAP NAS supports a disk volume of larger than 16TB. 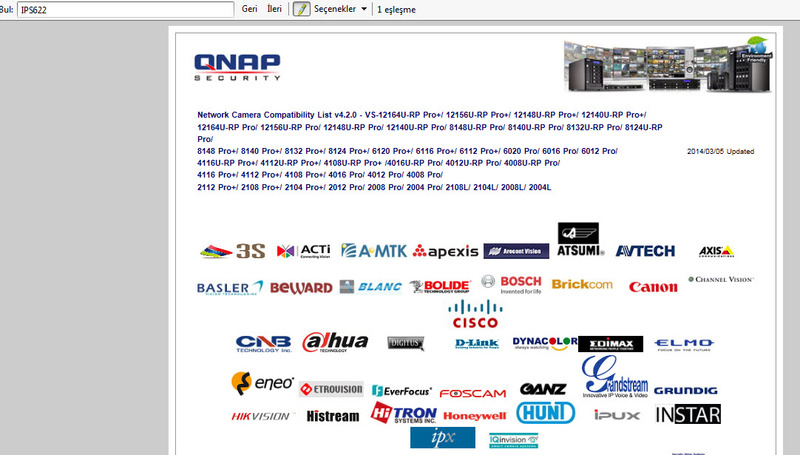 To use these models with QNAP NAS, please upgrade the NAS firmware to v3.4.0 or later. A disk volume of less than 16TB of storage can only be expanded to maximum 16TB by online RAID capacity expansion or adding hard drives. Online RAID capacity expansion and adding hard drives are not supported for a disk volume of over 16TB. Not applicable to TS-509 Pro. Please update the NAS firmware to V3.4.4 and NVR firmware to V3.5.2 for enhanced compatibility with this hard drive model. If a HDD SMART test is performed on a drive concurrently with data access, the drive might be ejected from the RAID volume. To solve this issue, please upgrade firmware to 3.6.3 or above. These hard drives models have passed QNAP lab’s compatibility verifications. However, some users have reported unstable experiences with these hard drives on older Turbo NAS firmware versions. Thus, we strongly suggest that users upgrade their Turbo NAS to firmware 3.7.1 or onward to improve compatibility. 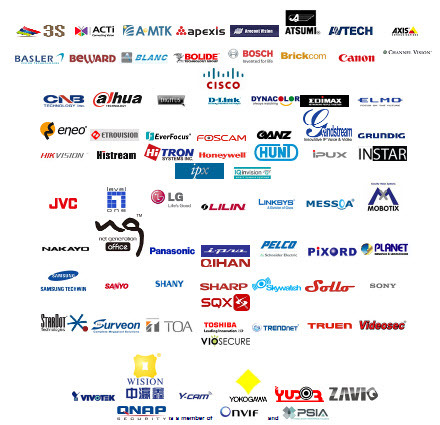 Users who still encounter issues after firmware upgrade are welcome to contact our tech support for direct assistance. The manufacturer also releases a new firmware version for these hard drive models. Please check this link for more information. Please be noticed this hard drive is desktop edition. To obtain the better system stability and reliability, we suggest using the business edition hard drive to build the RAID volume in the business environment. These hard drives models have passed QNAP lab’s compatibility verifications. However, some users have reported unstable experiences with these hard drives. Users who encounter any issues with these hard drive models are welcome to contact our tech support for direct assistance. The manufacturer has released a new firmware version for these hard drive models. Please check this link for more information. Please upgrade the NAS firmware to 3.7.1 for enhanced compatibility with this hard drive model.